Find a Fairfax County After School Nanny who is trustworthy and dependable through ABC Nanny Source - A Trusted Nanny Agency in Virginia! Elena has been a positive role-model for children of all ages while providing care as a Fairfax County After School Nanny.! "If I was asked to describe in one sentence the reason I have chosen to be in the Nanny profession over any other it would have to be because I love to work with children! I have been serving in some form of childcare experience for over six years and can honestly say I love what I do! I feel that children are adorable, curious and very innocent! My goal as a Nanny is to help children with their needs and interests. If I had to describe myself in five adjectives I would say that I am responsible, dedicated, punctual, enthusiastic, and loving. Activities that I would like to incorporate in the daily plan for the family I care for would include arts, painting, and trips to local activities! If asked to describe the perfect family seeking a Nanny like me I would hope they would be friendly and open." "Elena always fulfills the job description. She goes that extra mile without being asked. Having Elena take care of my daughter was a pleasure. Honestly, I can go to work care free, knowing she is in good hands. I would always return home to a happy and healthy child. Often times she wouldn't want Elena to leave! It was heartwarming to know that my daughter was with someone she adored so much, and was equally adored by Elena. 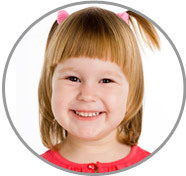 I highly recommed Elena as a Fairfax County After School Nanny." "In her position as lead teacher, Amanda did an excellent job and was an asset to our school! She made every child feel important and special, and she had a bond with each and every child. Amanda has a strong educational background and shows it well. She takes the time to portray her work so the children's families can share their learning experience. She has great communication skills and works well with her co-workers and superiors. Amanda is a joy to work with! She has a wonderful personality and is very reliable. I highly recommend Amanda, as she will be an asset to you!" "Elena was wonderful with our children. Elena was always on time, responsible, and interested in my children and making sure they were well taken care of while we were not home. I was always confident that Elena could responsibly handle any situation, which might have arisen in our absence. Elena was always a responsible and dependable nanny. I knew that I could rely on her to be punctual and to show up on time. I knew that when I entrusted her to the care of my two sons, she would always take that very seriously and make it a good experience for everyone. I think that any family would be lucky to have Elena as their nanny. I wish her the best of luck! She was helpful, reliable, punctual, positive and responsible!" "Elena did a wonderful job! She was very professional and stepped right up to her duties. She easily adapted to her environment and situation. I would recommend her for a Fairfax County After School Nanny position. Elena was a very dedicated employee. She was willing to work as many hours as I could give her. She was on time, rarely called off for illness and was reliable. She has excellent communication with both my husband she was just wonderful!"